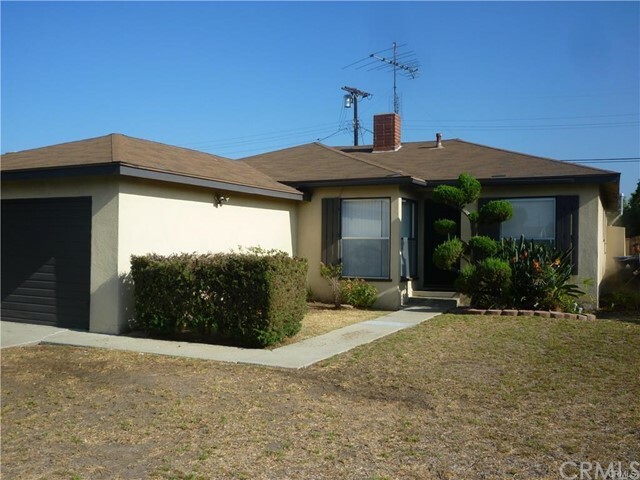 Nice home in a nice area of Gardena PO (LA City) that is close to shopping and freeways. This home has new paint throughout, new Vinyl flooring, newer bathtub and tiled shower walls. There is a newly built covered patio that opens from the living rooms large glass slider. All new window blinds, The attached garage does not have direct access but comes with two remote controls. There is a separate laundry room off of the kitchen with washer and dryer. There is also a new stainless refrigerator and a dishwasher in the kitchen. Front yard will have automatic sprinklers with timer..